Family traditions are like jewels. They always remain exotic, unequalled, invaluable and credible. Traditions strengthen family bonds, contribute to your children’s identity, wellbeing, and create lasting impressions. During the last 100 years, the rich traditions of Chungath family based on trust have earned laudable name, fame and glory. In the jewellery business, both in domestic and international domain, the brand Chungath has become a credible name to recon with among the leading players in the gem and jewellery sector. The name “Chungath” has become a synonym of pure gold. According to history, Christianity in Kerala was founded by Saint Thomas, the Apostle. The supporting evidence for the Saint Thomas tradition in Kerala relies upon carefully preserved oral sages, literary texts, genealogies, copper plates, coins of copper silver, gold, and archaeological remains. On his arrival, the Apostle converted several Brahmin families and founded seven churches in and around Palayoor near Guruvayoor/Kunnamkulam and Cranganore (Kodungaloor). It is believed that the later generations of these Brahmin families lived in the location such as Palayoor , Pavarty , Guruvayoor and Kunnamkulam in the Thrissur district of Kerala. Later, Punnathoor Raja, the Samantha of Zamorin of Calicut, brought two Christian families (Chungath & Cheeran families) from Palayoor and settled them near Kottapady, a place adjacent to the Punathoor Palace. Traditionally, these two Christian families were oil traders. Appreciating their loyalty and faithfulness to the royal family, the Punnathoor Raja authorised one of these Christian families the right to collect Chungam (the tax) from the public in the surrounding area. Eventually, the name of the family got transformed as Chungath Family. Late Lazar, the forefather of the current Chungath generation established a local bank at Kottapaddy called Chungath Bank to fulfill the urgent fund requirements of the local public. He used to lend money to the local public by accepting gold ornaments of the customer as a pledge. He also started trading in gold as part of his lending business. Those days, the rate of gold for one Pavan (8gm) was between Rs 12 and Rs 15. Subsequently, Lazar extended his traditional oil trading business to Palghat and Kochi in a bigger way. Following the sudden death of Lazar, his son C. L Pavunny, father of Shri C.P Paul, the current Chairman of the Chungath group took over his father’s business at a very young age of 21 years. Pavunny was very hardworking, dynamic and a go-getter by nature. During those days temples like Guruvayoor Sreekrishna Temple and Thirupathi Temple in Andhra Pradesh used to auction their gold offerings donated by devotees. Pavunny participated in these auctions and bought those gold ornaments. He then resold it to other needy customers by taking a very low margin. Pavunny always believed in two principles- “ Be Honest and Be Transparent” which earned him a lot of fame and goodwill. He won the heart of the local public and the gold business expanded swiftly to the surrounding areas of Kottapaddy. During the end of the Second World War, his business witnessed a “Wind Fall Gain” by selling large number of electrical generators he auctioned from the British navy. This provided the family to put a strong foundation stone in the gold business. Soon, Late Pavunny expanded his gold business to Kunnamkulam by setting up a showroom under the name “C.L. Pavunny Jeweller” His two brothers, Late Varghese and Late Stanly were also with him to help him in the gold business. After some years, he helped them to set up their own jewellery shops under the names “ C.L Varghese Jeweller” and “C.L. Stanly Jeweller” respectively. Later, the name of the premises became “Golden Corner” at Kunnamkulam. In 1962, after revoking the Gold (Control) Act, the government sought the opinion from the industry and formed an advisory committee including representatives from the gold trading industry. 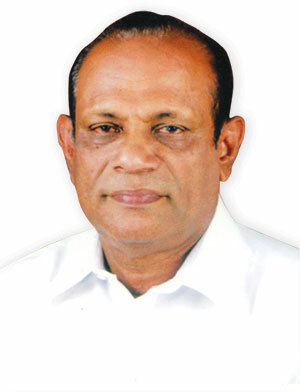 Late Pavunny was nominated into the committee. Based on his vast experience in the industry, Pavunny presented many practical direction and procedures to solve the crisis in the gold trading industry in India. 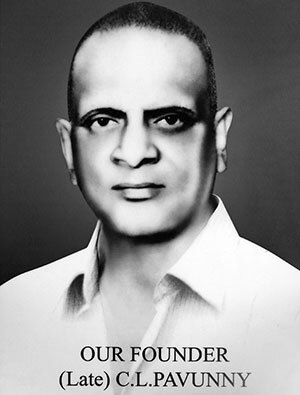 In 1964 when Late T.T Krishnamachari took over as the Finance Minister and the Gold Control Act was duly amended incorporating many of the suggestions of the Committee. Soon after that, the gold trading business in India became very vibrant. 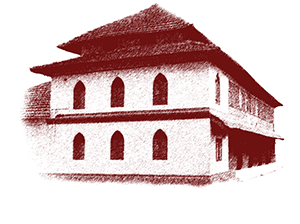 In 1956, Pavunny started his second jewellery showroom at Thrissur under the name “N.C. Davis and C.P Baby”. He assigned the responsibility of the showroom to his elder son Late Baby and his second son-in-law Davis Nadakkaukaran . Due to the goodwill and he had earned in Kottapaddy and the surrounding areas and his strong relationship with the customers, the Thrissur showroom became very popular. Later, he assigned the entire responsibility of the shop to Shri N.V Davis, his second son-in-law. In 1959, Shri Pavunny started his third showroom under the name “P.I Joseph& C.P Paul” at Chalakkudy . Here, he assigned the responsibility to run the business to his second son Shri C.L Paul and his elder son-in-law, Shri Payyapilly Joseph. Pavunny passed away at the age of 73. By then, Shri C.P Paul, the second son of Pavunny had gathered enough experience in the gem and jewellery business from his father at the Kunnamkulam showroom and it helped him to make the new gold business at Chalakuddy in the year 1959 which became very popular among the public. As advised by his father, Shri C.P. Paul launched a new jewellery showroom in Chalakkudy under the name “Chungath Fashion Jewellery.” The following years witnessed tremendous growth of the Chungath family in the gem and jewellery business. The turnover of the group shoot up fast and the business group diversified into tourism and hospitality and education sectors. Shri C.P Paul had a vision. “Employment to 1000 Families” and the group achieved its chairman’s vision last year by providing jobs to 1000 families. Though he has given the responsibilities of the groups’ businesses to his sons and other family members, Shri C.P. Paul is still directly monitoring and directing Chungath Gold and Diamonds business in Dubai. A good gemmologist need not necessarily be a good appraiser. But a good appraiser must be a good gemmologist. It means, a good gemmologist is someone who is constantly updated in the study of gemstones. That is why Shri C.P Paul has been selected and inducted by the Government of India into their panel of gem and jewellery appraiser and valuer. Mr. Rajeev Paul, the elder son of Shri C.P Paul is an engineering graduate and MBA. He entered the group’s gem & jewellery business in the year 1994. As the Managing Director of Chungath Jewellery at Kollam, he decided to push the family name “Chungath”. Within a short span, the Kollam showroom became a great success. In 1998, Chungath Jewellery, Kollam became the first exclusive showroom in Kerala to achieve the “916 Hallmarked Jewellery” status. Soon he started the second showroom at Kollam with a focus on Kerala’s traditional gold ornaments. The new showroom introduced an appealing array of lightweight jewellery in traditional designs under the label ‘Syrandry’. Rajeev is also an authorised gold jewellery appraiser and valuer. At present, Mr. Rajeev Paul is looking after “Chungath Jewellery” at Trivandrum, Kollam, Karunagapilly and Kochi showrooms along with the group’s other initiatives in the business segments such as tourism, education and media. Mr. Ranjith Paul, the younger son of C.P.Paul is an engineer by profession with a Masters in Management. Currently, he is in-charge of the group’s Chalakuddy, Irinjalakudda and Thrissur showrooms as well as many other business initiatives in Trissur District. Mr. Abby David Kattookaran, the second son-in-law of Shri C.P. Paul is an MBA and is the managing director of Chungath Jewellery, Angamally. Chungath International Jewellery, Dubai is being looked after by Mr. Perlju Baby Chungath, grandson for Late C.L Pavunny and son of late C.P Baby. Shri Akhil Tony, the grandson of Shri C.P Paul is an MBA and also a qualified Consultant Gemmologist. He is the managing director of the group’s diamond and precious stone business imitative- “The Orbit ”at Thrissur.